Mold can be quite a nuisance if found growing in your home. Apart from the bad appearance and smell, it can also affect your health and well-being. Follow our tips below on how to prevent mold in your home to best protect your family’s health and the structural integrity of your home. Carry out repairs on problematic areas that are letting moisture into your home. Mold grows in places that are damp. If there are damp areas in your home, you need to pinpoint how they became this way and address the source of the problem. Does your basement flood during the rainy season? Is your ceiling wet because of a leaking roof? If you have an issue where moisture is getting inside, make the necessary repairs. Fix a leaking roof or seal up cracks in your foundation to help prevent mold in your home. Ensure your rooms are well ventilated. Many normal household activities like cooking, taking a shower, or ironing a shirt, generate moisture in the process. Such is the breeding ground for mold. Utilizing your HVAC for temperature control will also benefit your fight against mold growth. 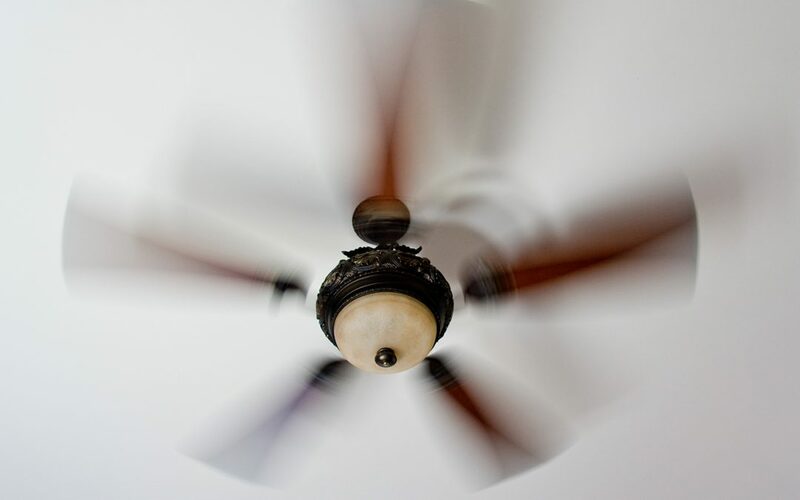 If you don’t have an HVAC system you can leave a window open and a ceiling fan on to circulate some fresh air. In fact, leaving the ceiling fan on is always a good idea. Just be sure to have it rotating clockwise in winter and counter clockwise during summer. Use mold-resistant products in your home. If you are building a new home or giving it a facelift, choose materials that are mold resistant. In places like the kitchen or bathroom which are often prone to damp conditions, apply a mildew-resistant sealer and primer. While painting your walls, get mold-resistant paint. You can also use a mold-resistant drywall for building and remodeling. As indicated earlier, moisture feeds mold. If your home is dry 100% of the time, there are slim chances that mold will grow in your home. If any liquids are spilled on your carpet or rugs, clean it up right away and point an electric fan at it to help dry it out. If you encounter flooding, take immediate action to remove the water and set up several fans around the area. Top 2 Bottom Home Inspections offers a full mold inspection of the home’s interior and exterior, as well as a variety of other inspection services. If you are in Greater Nashville and need an inspection of a home you are buying, selling, or a home you own, please contact Top 2 Bottom Home Inspections today.